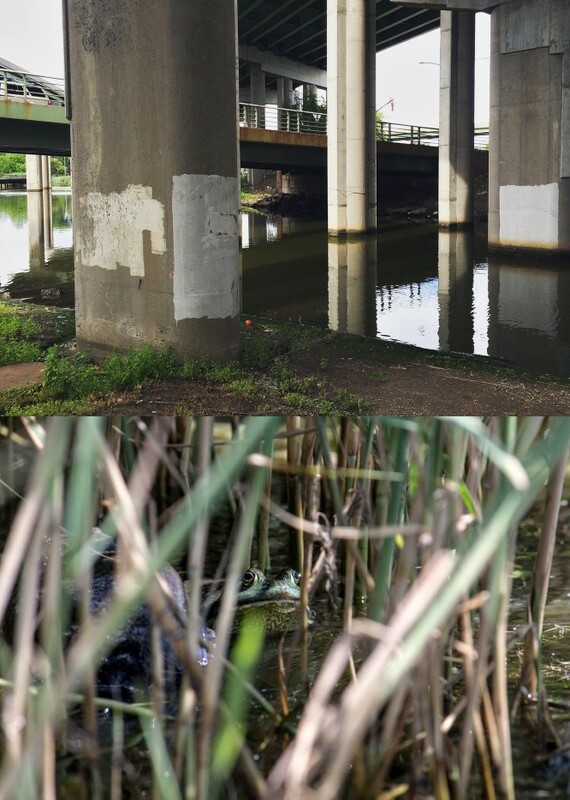 On Saturday July 16th, artists Joianne Bittle and Christopher Kennedy invite the public to join them in their fieldwork for Chance Ecologies: Flushing River. This six-week-long artists residency is located at the Studio In The Park, adjacent to the Queens Museum. Join artist Joianne Bittle and naturalist Mike Feller for a spontaneous walk through Flushing Meadows Corona Park, starting at the Studio In The Park. Participants will explore and discuss man-made Willow Lake, a part of the Flushing River watershed, and investigate the insect and plant populations surrounding the lake, and their relation to one another. Learn about the history of the lake and discover some of the different species that currently inhabit the park. Please bring a camera! Join teaching artist Chris Kennedy for an unguided tour of the wild ecologies along the Flushing River, in an area underneath the Long Island Expressway, bordering Flushing Meadows Corona Park. Plant ID, collaborative drawing, and movement research will be used to create a portrait of the Flushing River’s chance waterways. This event will begin at the Studio In The Park, followed by a short walk to the river. All ages and levels of expertise are welcome.